Central America is a great place to visit. With seven countries to choose from—each packed with stunning natural and cultural attractions—it can be hard to decide where to go. Luckily, we've compiled the top Central America travel destinations for you to explore. To give you just a little more help, you'll want to explore ways to take in as much of Central America as possible in just two weeks. Also, backpacking is a great way to get around on a seriously tight budget. Although there is no end to Central America’s attractions, most travelers make a beeline straight to the best beaches and islands. Due to the isthmus' warm waters, flourishing marine life, and soft sands spanning two diverse coastlines, the epicenter of the Central America tourism industry is along the edges. From rollicking Pacific shores to outlying Caribbean isles, the beaches of Central America are truly unbeatable. Costa Rica is the most popular destination in Central America for a reason. Though small in size, the country contains 5 percent of the world's biodiversity. For travelers, that means countless pristine beaches, tumbling jungles, and abundant flora and fauna. 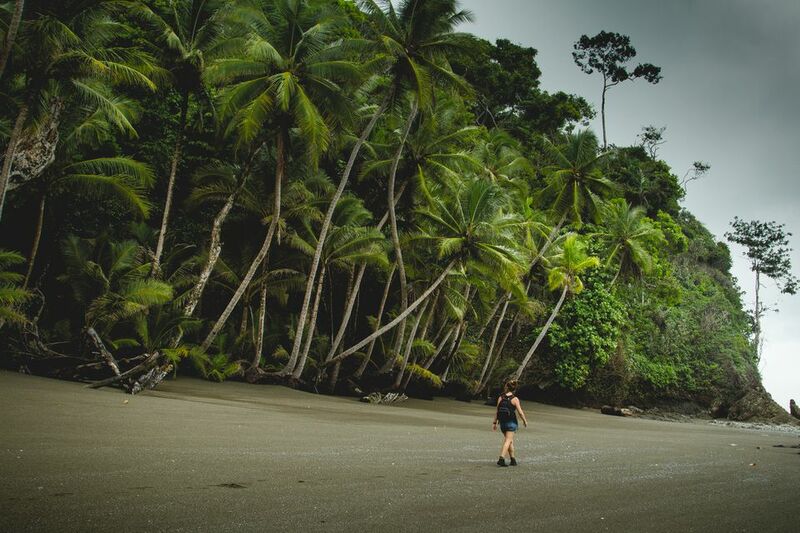 To top it all off, Costa Rica boasts an amicable society founded upon kicking back and enjoying the scenery. It's everything you need for a great vacation. Nicaragua is off the beaten path for the typical traveler, and yet it contains some of the world's most captivating scenery. Home to the second largest rainforest in the Americas and the largest freshwater volcanic island in the world, Nicaragua's land mass holds 7 percent of the earth's biodiversity. After years of unrest, Nicaragua is emerging as the new Costa Rica at a fraction of the expense. Although Belize is docked upon Central America's mainland, it’s an island of diversity. The country’s tiny fingernail of land is a natural and cultural wonderland, a thriving swirl of jungles, rivers, and beaches peopled by Mayans and the Garifuna. Yet, travelers spend much of their time off the coast among Belize's brilliant waters, far-flung cayes, and the second largest barrier reef in the world. Guatemala is truly one-of-a-kind, a country of impossible vistas and staggering beauty. Over 40 percent of its population is of Mayan descent, the majority of which still don multicolored indigenous apparel. Travelers are enchanted by Guatemala's gracious and fascinating culture, as well as the towering volcanoes, forested mountains, and Mayan ruins of unsurpassed quality. It is a central component in the popular La Ruta Maya, a popular travel plan that stretches from Mexico to Guatemala City. El Salvador, though one of the world's smaller countries, holds numerous elements found in the rest of the Central American region, it's just in miniature form. Many travelers claim that the country's ancient Mayan sites, volcanoes, jungles, and beaches rival those of its neighbors. At the same time, the hospitality of its people is unmatched anywhere in the world. And, because of its size, every attraction is easily accessible. Though Honduras has a history of conflict, more travelers are discovering the country's abundant attractions. Drawing the most visitors are the Caribbean Bay Islands, Utila, Roatan, and Guanaja, each boasting some of the cheapest and best scuba diving in the world. Honduras is also home to the captivating Mayan ruins at Copan. It has both a stunning natural landscape and a welcoming population. Panama's location alone is intriguing. It literally serves as a land bridge between North and South America. The country’s natural attractions are equally intriguing, from its virgin white sand beaches to its impenetrable rainforest. While the Panama Canal is not natural, it does top every traveler’s itinerary because it's an astonishing manifestation of human ingenuity. What Is LGBTQ Travel Like in Central America?